Community Outreach Archives - Best Self Storage in Anchorage! 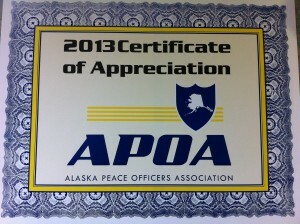 Best Storage is happy to help Alaska Peace Officers Association – one of the oldest and largest nonprofit associations in the state. Their membership consists of “law enforcement, corrections, prosecutors, security professionals and others at the local, state and federal levels”. Alaska Peace Officers Association works on “improving professionalism among the member, promoting their objectives across the state and offering suggestions to improve Alaska’s justice system”. A Best Storage Facility designed with Military families in mind. On behalf of the wounded and injured military service member and disabled veterans who are involved in Project Healing Waters Fly Fishing (PHWFF) activities, I thank you for your generous in-kind contribution. Your gift of free use of a heated storage unit for seven months has already made a difference and has helped us manage our precious resources more effectively. Your thoughtfulness is an inspiration to us all and will help us give back to individuals who have given so much. Please know that you are making a difference and we will put your donation to good use. Again, thank you for your charitable gift. Your support and encouragement is deeply appreciated, and needed as we carry out our mission to improve the health and well being of our program participants. Best Storage is deeply involved in Alaska community and helps a lot of non-profit organizations by providing complimentary self storage and donations to the following organizations. Project Healing Waters, whose mission is “to assist in the physical and emotional rehabilitation of disabled active duty military personnel and veterans through fly fishing and fly tying education and outings”. American USO, the organization that collects donations and helps the “troops serving in combat, their families, wounded warriors and their families, and families of the fallen”. Beans Café that “feeds the hungry and shelters the homeless without discrimination during the day”. American Cancer Society – a “nationwide, community-based, voluntary health organization dedicated to eliminating cancer as a major health problem by preventing cancer, saving lives, and diminishing suffering from cancer, through research, education, advocacy, and service”. Cook Inlet Tribal Council whose mission is to “work in partnership with Our people to develop opportunities that fulfill Our endless potential”. 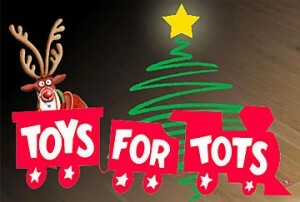 Toys for Tots, the foundation that provides “a tangible sign of hope to economically disadvantaged children at Christmas”. Civil Air Patrol, an organization that has “three congressionally mandated missions: emergency services, aerospace education and the cadet program”. Rush soccer club – “The Largest Youth Soccer Club in the world with over 28 clubs in the United States and 22 clubs/partners internationally, adding up to a membership base of nearly 40,000 players worldwide”. We are proud to be involved with these organizations and will do everything in our power to keep helping Alaskan community. Like Us on Facebook to Support Toys for Tots! For every “Like” on Facebook Best Storage will donate $1 for Toys for Tots! Let’s help the children of Alaska together. You are also welcome to donate toys at our Midtown (2200 Seward Hwy) and Tudor (3521 E. Tudor Rd) locations. Any contributions are appreciated! Best Storage, the safest and most affordable self storage in Alaska! Thank you, Best Storage. You live the dream!